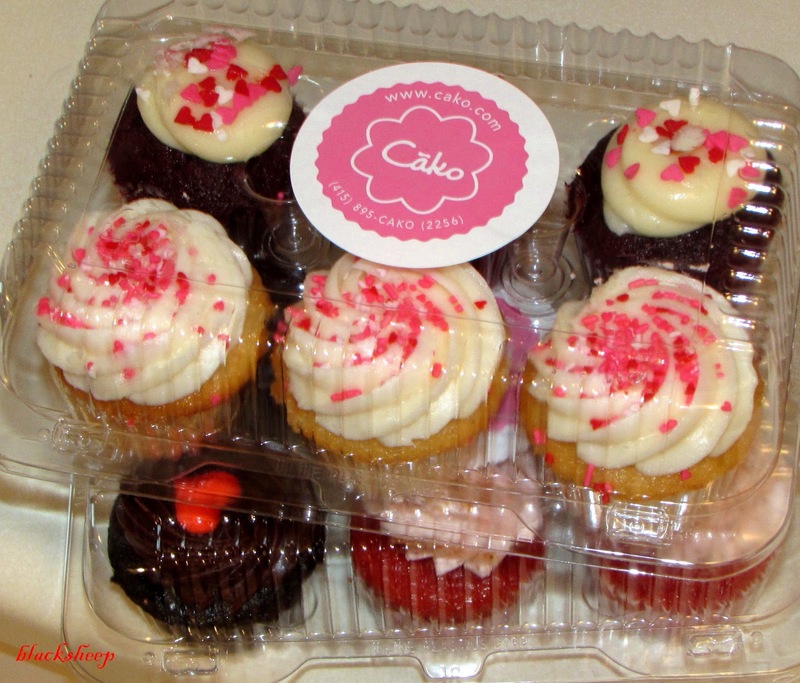 Rico, got us a Dozen Cako Valentine Cupcakes!!! 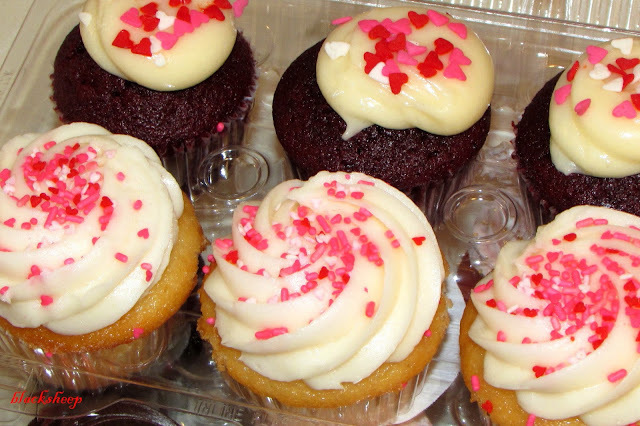 There were four flavours.... vanilla, red velvet, chocolate and a strawberry!! We really enjoyed them all weekend! ....what is really great about Cako cupcakes it the ratio of frosting to cake - lots and lots!! It was a great Valentines Weekend here by the Bay, sweet treats and lovely weather - it's been hovering in the low 70's still! So nice a warm, it won't last as we are to get some more rain towards the end of the week..........thanks for stopping by. Rico really knows how to celebrate Valentine's Day! !It's mild up here too but nothing like the 70's more like mid to upper 50's. Still compared to all the snow and yuck, we are very lucky. He really spoils you...that is so sweet.